Update your collection of watches with this unique ID Raised Face Dual Chronograph Rubber watch. A smooth silicone band adds comfort when wearing the watch and is easily fastened with the standard buckle clasp. A monochromatic face, casing and hinges complete the contemporary look to this fashion watch. Double chronograph dials add character while the ID imprint adds interest. Wear the watch loosely for a more casual look or tighten it for a more tailored look. 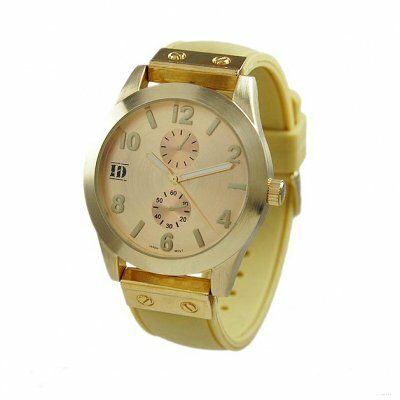 Buy your discount fashion watch today and start saving while quantities last. If you have any questions about this product by Geneva, contact us by completing and submitting the form below. If you are looking for a specif part number, please include it with your message.